Modeled to resemble an Inter-Continental Ballistic Missile, the Quest Penetrator Quick Kit looks every bit the part. At 38 inches the Penetrator model rocket is one of the longest of the Quick Kit fleet and is quite a sight lifting off the launch pad! 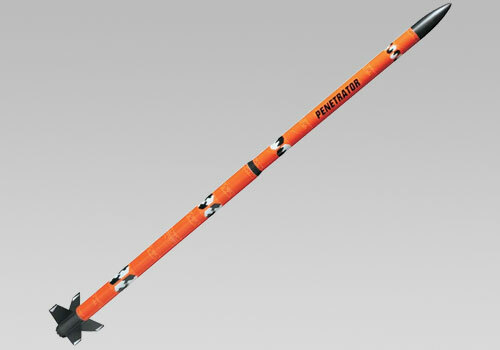 The Penetrator model rocket quick kit can be ready to fly in 45 minutes.